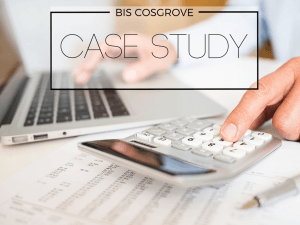 BIS Cosgrove are a financial services consultancy who have a marketing strategy but had never been pitched to the media. Again, financial services is a saturated market and to find unique, relevant articles to pitch to the local news was always going to be a challenge. After sitting down with BIS Cosgrove to discuss a PR strategy we came up with several angles unique to their business that we could pitch locally. We made sure we could write articles that were of interest to a wider audience and not only people looking for specific financial solutions. Our first pitch for BIS was created around a topic that is relatively new in terms of the many financial articles already circulating. We wrote a pitch specifically targeting local publications, in particular business pages, with an interesting article on the rise in women choosing self-managed super funds. Again, the article was picked up by the Bulletin straight away and we had to provide a high resolution image to go with it. We made an appointment with Renee, snapped a few shots of her in the office, had them edited and got one to the Bulletin an hour later. The article appeared in the Bulletin’s Monday business pages. The local market is BIS Cosgrove’s target market and appearing in the business pages gives them both credibility as a business and shows their expertise on a topic that is relatively unknown to most people. The Bulletin is read by over 116,000 Gold Coasters on average giving BIS Cosgrove a huge advantage in the marketplace.